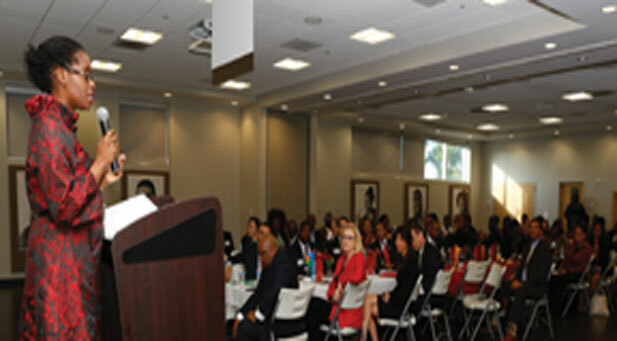 Urban League of Broward President Dr. Germaine Smith-Baugh announced the launch of its new “Breaking the Cycle” Awareness Campaign during the League’s Annual Business Leadership Breakfast. 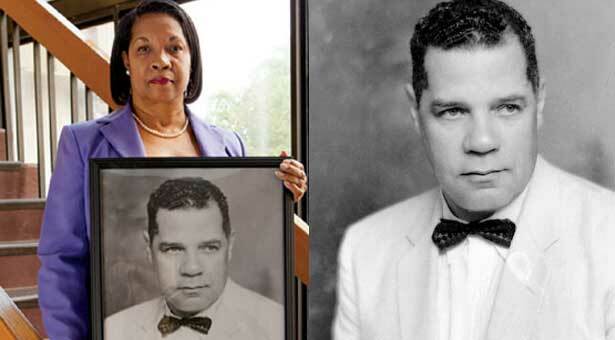 The work that began 40 years ago by the Urban League of Broward County (ULBC) to help improve the socio-economic plight among South Florida’s underserved minority community, is still going strong today under the leadership of its President/CEO, Dr. Germaine Smith-Baugh. Dr. Smith-Baugh unveiled a new anti-poverty awareness campaign entitled, “Breaking the Cycle,” on Jan. 30, 2015 during the League’s Annual Business Leadership Breakfast. In addition, she announced a new initiative that will continue to address unemployment in Broward County through a new $250,000 workforce development program, before hundreds of business leaders from the local community. She said that this new campaign would be the number one priority for the local civil rights organization this year. She also announced plans by the Urban League of Broward to host the National Ur-ban League Conference in Fort Lauderdale on July 29 through Aug. 1, in 2015. The conference is expected to attract 10,000 participants nationwide and have an estimated $10 million economic impact on the local economy. “We can make the community better. One family at a time – One life at a time – One neighborhood at a time. We can do something about it. When we take a look at the programs that the Urban League has and the programs that exist around our community, we have so many opportunities to make a difference. So I want you to visit the website, take the pledge to break the cycle of poverty in each and every most simple and complex way that you can,” added Smith-Baugh. The ULBC concentrates its efforts in four major areas including; Education, Jobs, Housing, and Health. It has served 20,000 youth over the past 10 years, 2,000 families through its Workforce Development Program since 2010. It also has helped 200 new home owners in the past five years, saving families some $4.5 million through its Loan Modification and Foreclosure Prevention Services. In addition it has helped provide healthcare education and services to some 6,000 pregnant women since 2010. “We support the efforts of the Urban League of Broward County such as the College Tour Program, help raise funds for college student scholarships, and work with them on a month-ly basis to share our experiences about college and things of that sort,” said Wright. Several ULBC staff members were recognized for their years of service with the League. They included: Garry Bellfieur, Foreclosure Prevention counselor-five years; Alica Brown, Marketing & Events manager-five years; Lourdes Perez, Project TOTTS/Healthy Staff Care coordinator-five years; and Ketlene Pierre, executive assistant-10 years. Urban League of Broward Board Chairman Frederick Perry announced that he would be stepping down as Chair but not stepping away from the organization. Perry would be handing over the reins to the new Chairman Shaun M. Davis, Managing Partner of S. Davis and Associates, P.A. “This is a tremendous organization in the community. We give a hand up not a hand out in the community if people are willing to take the responsibility over their lives, come here to the Urban League we’ll help you get to your next step, whatever that might be,” said Perry.